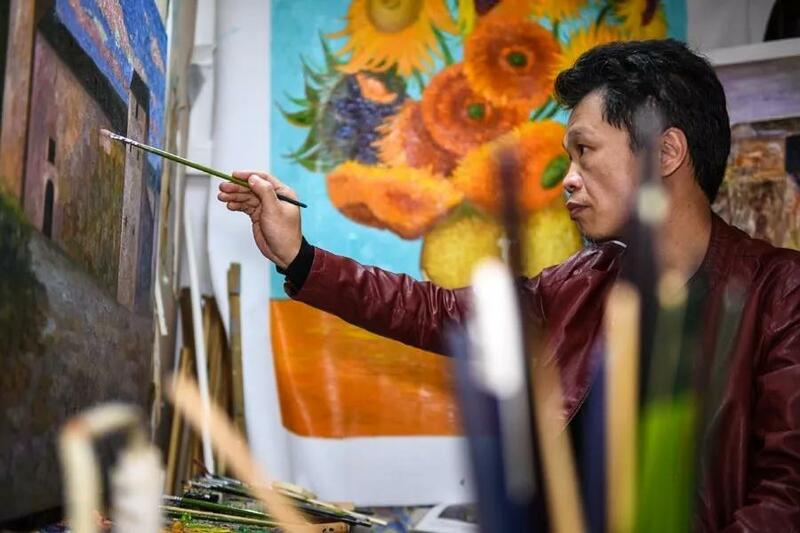 Zhao Xiaoyong was called China’s Van Gogh, as the farmer-turned-oil painter made over 100,000 replicas of Van Gogh’s work over the past 20 years. However, he never saw a single authentic piece by the Dutch post-impressionist painter until 2014 when he finally saved enough for a trip to the Netherlands. The trip inspired him to think over his business and create his own works. Zhao has a studio in Longgang’s Dafen, where 1,200 studios and 8,000 painters are based. Dafen produces millions of replicas of Van Gogh, Monet and Picasso that are sold at home and abroad. 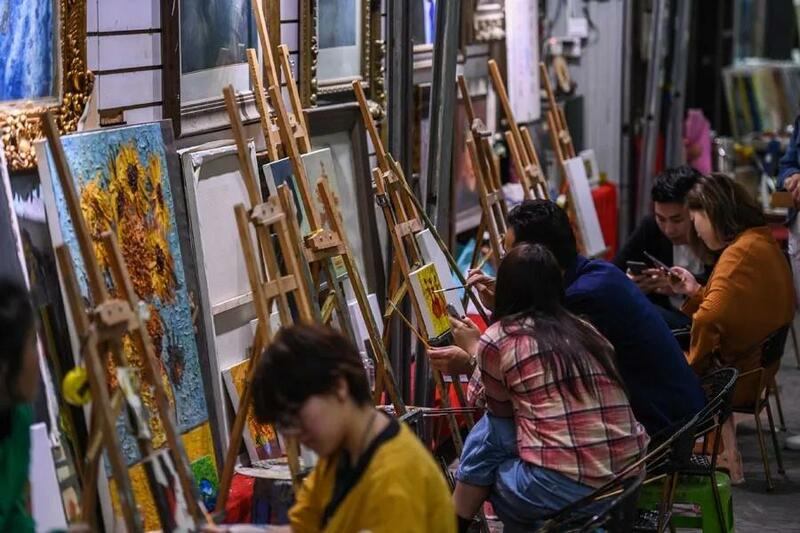 According to statistics, 80 percent of China’s export of oil paintings comes from Dafen. Zhao Xiaoyong's studio in Dafen Village. 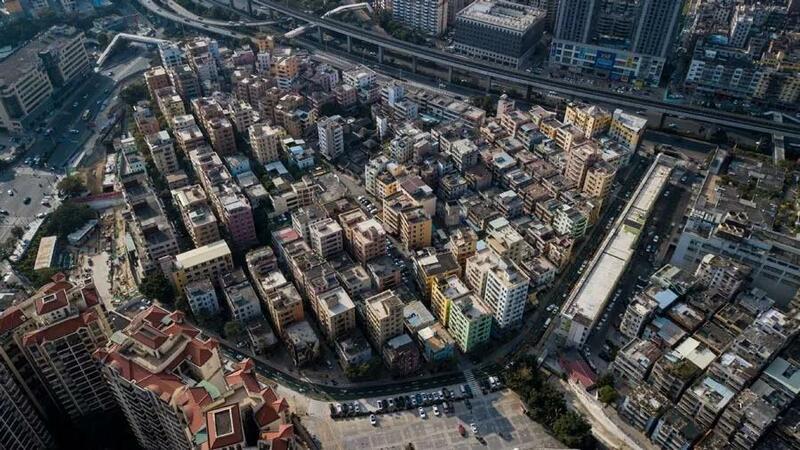 A bird's-eye view of Dafen Village. The painting industry started in Dafen Village in 1989 when Hong Kong purchasers sought to establish an oil painting base near Hong Kong. Zhao started learning how to paint from scratch in 1996. He imitated Van Gogh’s works via a painting album, including “Sunflowers” and “Almond Blossoms.” He sold his first works in 1999 when an American buyer ordered 20 paintings. More orders later came from abroad, prompting Zhao to recruit apprentices. “I was even called China’s Van Gogh in a documentary,” he said. Zhao and his team worked from 1 p.m. to 3 a.m. painting eight pieces per person every day at most. Prices for the replicas ranged from 200 yuan (US$30) to 3,000 yuan per piece, depending on the size. 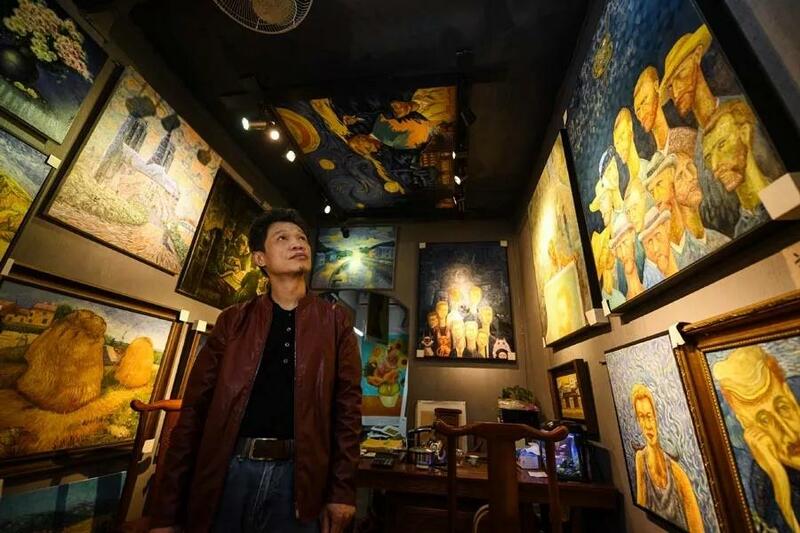 While the market demand for replicas is shrinking, Zhao and other painters in Dafen are creating their own artworks to attract tourists. 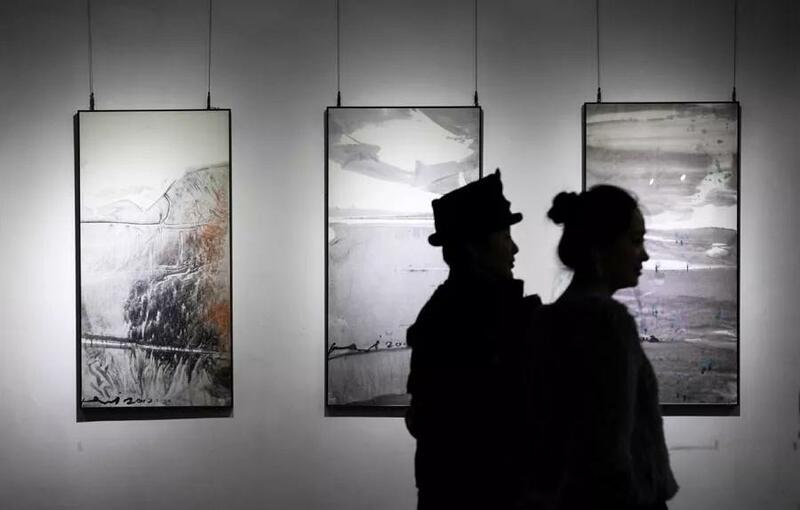 Chen Qiuzhi, who used to paint copies of masterpieces, has worked hard to develop his own style, combining Chinese calligraphy with painting. Ten years of hard work has won him fame, with his works popular in the auction market. Now, one piece of his calligraphy is worth tens of thousands of yuan, almost 100 times the value of replicas he painted. “Only by creation can one’s works be remembered,” said Chen. Visitors tour the Sunrise Art Center, Dafen Village. Tourists try out oil painting in Dafen Village. Today, Dafen has gathered nearly 300 artists. In 2017, the annual output value of Dafen reached 4.15 billion yuan, among which the original works accounted for 20 to 30 percent. From imitation to creation, Dafen Village has been making the transition from a low-end oil painting workshop cluster to an art center.